It’s rare for someone with osteoarthritis to be prescribed an opioid (narcotic) painkiller. But if you’re having joint surgery or if you have severe joint pain that hasn’t responded to other pain relieving measures like exercise or NSAID medications, opioids may be right for you. Get to know your local laws. Because of the opioid addiction epidemic, several states have enacted, or are proposing, new restrictions on how opioids are prescribed and used. Search for information specific to your state at this database from the National Conference of State Legislatures. Some states have laws requiring you to keep opioid medication in the bottle it came in—or keep a copy of the prescription with you—when you leave your home. When the pharmacist fills your prescription, ask for a small duplicate container or a duplicate label that you can carry with you. Manage stressors that make pain worse. It’s not easy having osteoarthritis pain, and stress can make the pain worse. Take the edge off pain by doing activities that make you feel better. Take a long hot bath, watch a funny movie, or go out for a special treat with a loved one. You’re responsible for your drugs! Store your medication carefully. Keep a close eye on your opioid medications, as they can cause harm to others—particularly children or pets. They are also susceptible to theft. If your medication is lost or stolen, you may have trouble getting more. In some states, laws designed to curb abuse can make it difficult to replace them. Beware of side effects. In addition to their addictive dangers, opioids can also cause some troubling side effects, including drowsiness, dizziness, nausea, vomiting, and constipation. Know which side effects you may be at risk for and how to manage them if they arise. Be ready for flare-ups. Make sure you know what to do if your pain intensifies. Don’t assume you should take more of your regular medication. Your doctor may recommend another medication for short-term relief. Talk about pain control before surgery. If you’re planning on having surgery, talk with your doctor in advance about the plan for managing your post-surgical pain. If you’re not already taking opioids, you will probably receive a short-term prescription for one to use in the days following surgery. 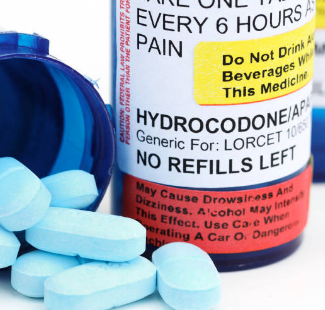 Pain control can be more difficult for those already taking opioids before surgery.